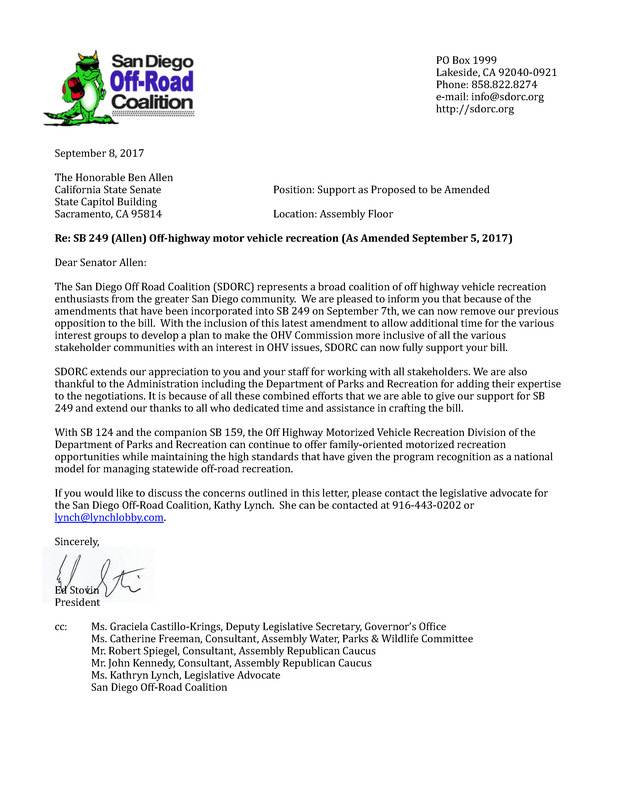 November 8, 2017—UPDATE: The two bills to reauthorize the California OHV program, SB159 and SB249, have now been signed into law by Governor Jerry Brown! 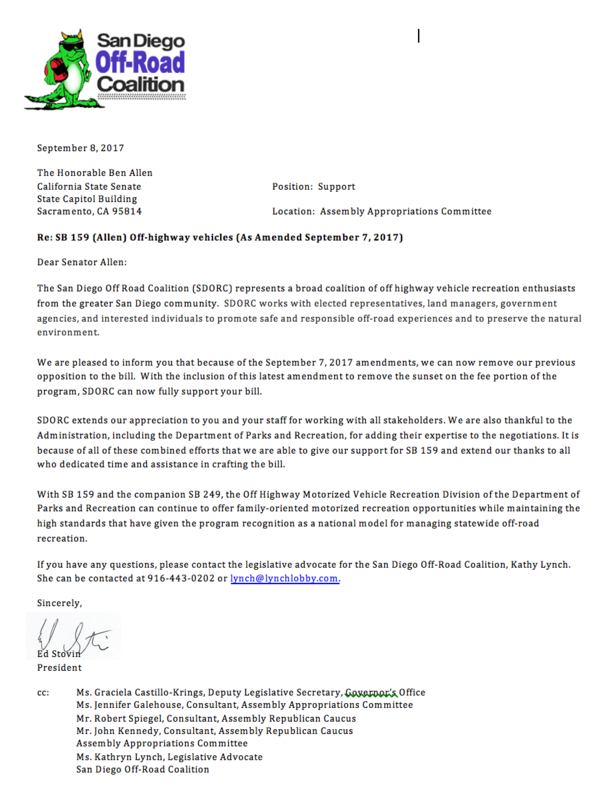 Below are two letters SDORC’s lobbyist helped prepare and submit to the California legislature as part of the effort leading to the passage of favorable legislation reauthorizing the State’s off-road vehicle program. Senator Joel Anderson has long supported Public Land for Public Use. 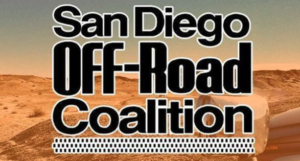 Thank you Senator Anderson for standing up for our current Off Highway Motorized Vehicle Recreation program and opposing SB249 as it was originally introduced! Senator Anderson’s efforts on our behalf were instrumental in obtaining changes in the bill which were favorable for off-road recreation.